This article first appeared on Localeur's website--check them out for travel recommendations! 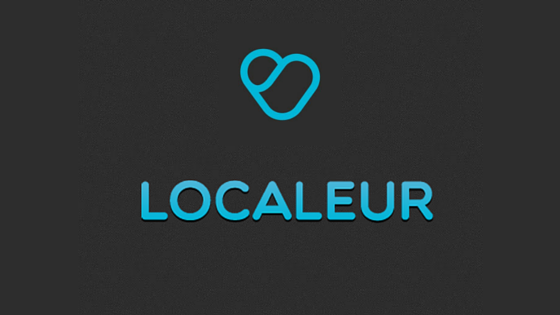 Localeur features in-the-know locals giving food, drink, and recreation recommendations from all over the world! NoDa’s Reigning Donuts is the hot new player on the Charlotte donut scene, and we could not be more obsessed with them. They describe themselves as a “food truck that’s not going anywhere,” and we love this description of their walk-up window set-up. What sets Reigning Donuts apart is that each donut is fried and topped to order, and you just can’t get any fresher than that. The mainstay toppings include powdered sugar, cinnamon sugar, honey, and vanilla or chocolate frosting. However, we are partial to the rotating daily specials--you can usually find us there on matcha coconut Tuesdays and S’mores Thursdays. 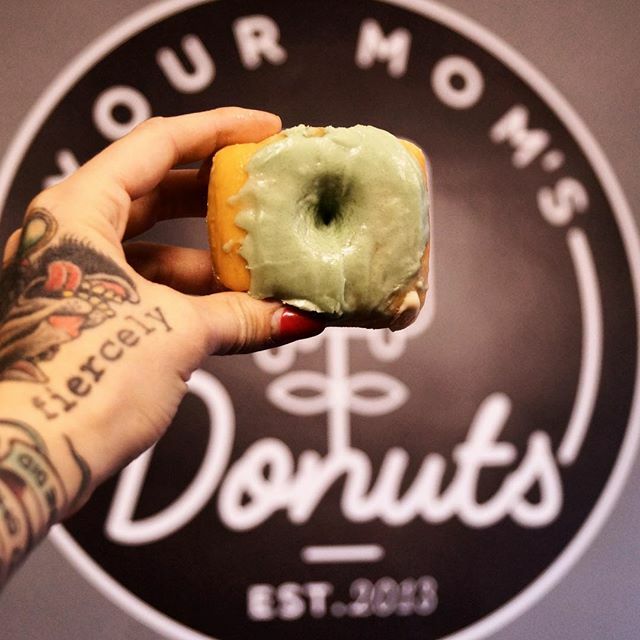 If you want your donut large, square-shaped, and made with all local ingredients, Your Mom’s Donuts is where it’s at. These donuts are at once hefty and fluffy, and the flavor profile is so pure--you can taste the tanginess of the fresh eggs and milk, and the toppings only elevate the experience. Their salted caramel and dark chocolate ganache donuts are heaven, and look for seasonally rotating favorites like maple bacon and strawberry preserves. My only caveat is that I preferred these donuts when they were fried in lard, and they are now fried in coconut oil. Still delicious, though. Duck Donuts is a quickly growing chain that started in the Outer Banks of North Carolina, and Charlotte is lucky to have their own location in Dilworth. 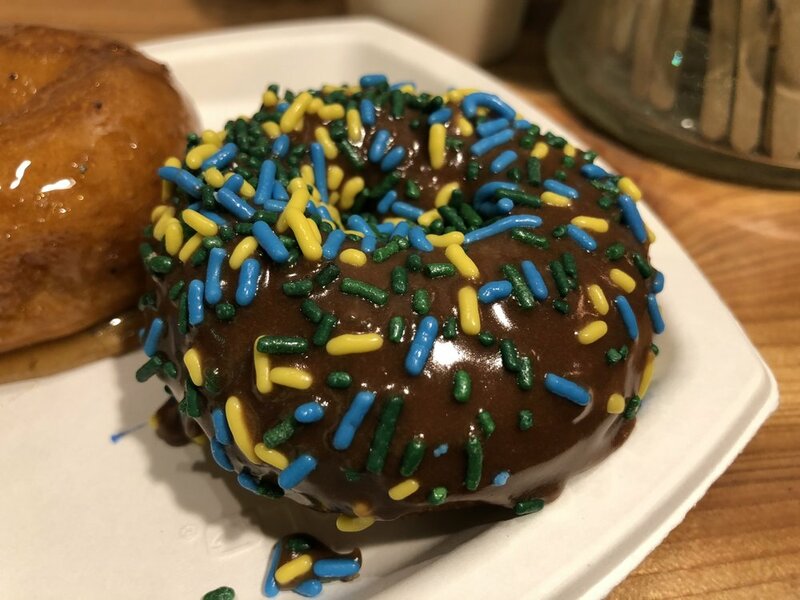 The best thing about Duck Donuts is the level of customization--donuts are fried to order, and you can design them with any combination of coatings and toppings. These donuts are light and airy old fashioned style, and the coatings span a wide range: blueberry, strawberry, lemon, maple, and peanut butter in addition to classic glaze and cinnamon or powdered sugar. Toppings include sprinkles, coconut, peanuts, oreos, graham crackers, and...wait for it: bacon. My favorite is a piping hot chocolate frosting with coconut! "Pairs with girls' night & a glass of wine"
Foxcroft Wine Co. is the best place to go for a wine night with your friends, and a sleeper hit for some of the best donuts in town. Their crispy fried donut holes are a must order when you are dining at this popular Dilworth spot. You can get them with powdered sugar or cinnamon sugar, (or both! ), and they come with the most life-altering chocolate and caramel dipping sauces. Wash these babies down with a glass of prosecco, and you will be winning at life. "The mother of all donuts"
Want a nighttime donut that will impress your friends and family and blow up your Instagram feed? Sounds like a job for a giant donut. Stoke’s one pound donut is filled with diplomat cream and a crumbled up Heath bar. I know--catch your breath. It’s that life altering. I have finished this bad boy with three other dining companions, so I know it can be done (don’t be a quitter! ), but they are more than happy to box up what you can’t finish, so you can have epic leftovers for breakfast the next day. Okay, okay, so a cronut is not 100% donut, but this local croissant-donut hybrid deserves a mention. Sugarrmann Kronut’s does not have a brick and mortar, but they have a food truck and host pop-up events around town. For more of a sure thing, they also sell their cronuts in Coco & the Director, a hip coffee shop located inside the Uptown Marriott. 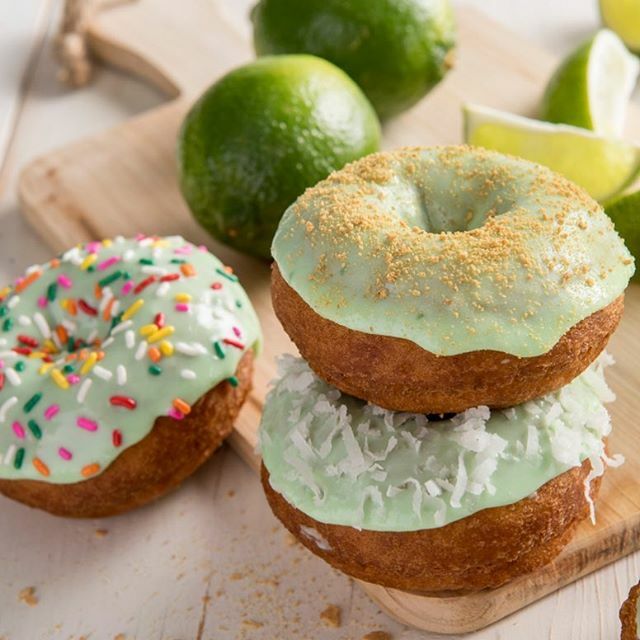 Their cronuts come in ridiculously good flavors like coffee, matcha, and nutella, and each one has about one thousand buttery layers of goodness. Get you one.